Titans of the Cage closed out their 2017, on Saturday December 9th, with an action packed card that featured several debuting fighters, 3 new title holders, the return of an "Eternal Dragon" and a Super Fight that lived up to it's billing. Grayson County High School was the scene for this 13-bout amateur MMA event. The snow did not deter the TOC faithful, as the school's gymnasium was packed with fight fans who were there to support their fighters, some of whom came all the way from West Virginia. One of the highlights of the night was the women's Flyweight title bout, which saw surging prospect, Kathy "MGK" Hatfield keep rolling through her competition. Prior to this fight, Hatfield hadn't ever seen the 2-minute mark of a fight, as she TKO'd each of her prior three opponents. Joy Miller, as suspected, did provide a tougher test for the West Virginia native, Hatfield. "Machine Gun Kathy" came out firing, as always, and dropped Miller early in the first round with a flurry of punches. Miller was able sweep Hatfield as she rushed in for the finish and spent much of the round in the top position, did Miller. Unphased by seeing a second round, Hatfield scored a throw and got Miller to the ground, only to be reversed. As the fighters worked their way to the cage, Hatfield did a great job of wall walking and made her way up to her feet. As this was happening, Miller left her neck exposed and that was all that Hatfield needed to secure a guillotine choke and gain the tap. Her 4th finish in 4 fights and her first submission cements Hatfield as the new TOC women's Flyweight champ and someone that will be tough to beat. In other title action, the men's Flyweight belt was up for grabs, in a rematch between Ring Combat Sports' Logan Hurley and Halifax Fight Team's Brandon Perkins. In their last battle, in July of 2016, Hurley defeated Perkins by unanimous decision. This time around neither fighter was interested in letting the judges decide the outcome. Perkins came out firing, throwing a hook kick and some other flashy strikes, obviously riding an adrenaline rush. Hurley persevered and got the fight to the ground. As the first round neared it's conclusion, the ground and pound of Hurley shown through, as he landed a devastating elbow to the head of Perkins. That shot phased Perkins and he was unable to answer the bell for the 2nd round, giving Hurley the 1st round TKO win and the Flyweight title. In the men's Middleweight division, Jeff Morris showed no rust after coming back from a two year layoff to overwhelm the undersized Kyle Johnson and take his belt by rear-naked choke in the 2nd round. Johnson, always a tough fighter, was severely undersized as his official weight of 177 (fully clothed) was 9 pounds less than the challenger, Morris. Morris improved his record to 6-1 and scored the victory in front of his young son, who was celebrating a birthday that same day. The fight of the night honors went to the main event between West Virginia's Brandon Eldridge and Ring Combat Sports' Doug "Achilles" Williams. This bout was in the Lightweight division and although no title was on the line, this bout was slated for 3, 5-minute rounds. This fight went back and forth, round by round. On MMA in VA's unofficial score card, it was 2 rounds to 2 going in to the 5th and final round, which Williams won due to his takedowns and ground control. The bout was ruled a split decision for Williams by the score of 46-49, 48-47 and 48-47. Austin "The Eternal Dragon" Cooper also returned from a 364 day layoff to dispatch a familiar opponent, Jeremy Caviness, in a Welterweight battle. This was the third fight between the two friends, which saw Cooper win the first two and keep that streak going with a TKO win in the 2nd round of this battle. Caviness landed a couple of nice shot, especially a nice flurry in the 2nd round, but largely appeared to be very hesitant to throw more than one punch at a time throughout most of the fight. Cooper remains undefeated and there is talk of a possible drop to Lightweight for the Ring Combat Sports prospect. With their wins, Austin Cooper and Ray Ray Holston achieved the 10 win mark. Zion Tomlinson was devastating in his victory and is the son of VA Pro, Kaine Tomlinson. Zion Tomlinson and Brandon Eldridge tied for walkout song of the night with Zion coming out to Schoolboy Q's "Man of the Year" and Eldridge making the trek with the Geto Boys "Mind Playing Tricks on Me", behind him. Lightweight Champ, K.C. Cockran said he would like Kyle Rodriguez to be his next challenger, at TOC's April 7th, 2018 event. It was also announced that Robbie Ring's official amateur debut will be at the TOC event in July and his opponent will be Joshua "The Great Dane" Cook. Ring is the son of TOC Promoter, Kim Ring and Ring Combat Sports Owner and Head Coach, Greg Ring. Jaylee Long has the emotional win of the night as he was victorious in his MMA debut inside the gymnasium of the high school that he attended. He definitely had the biggest crowd pop of the night. 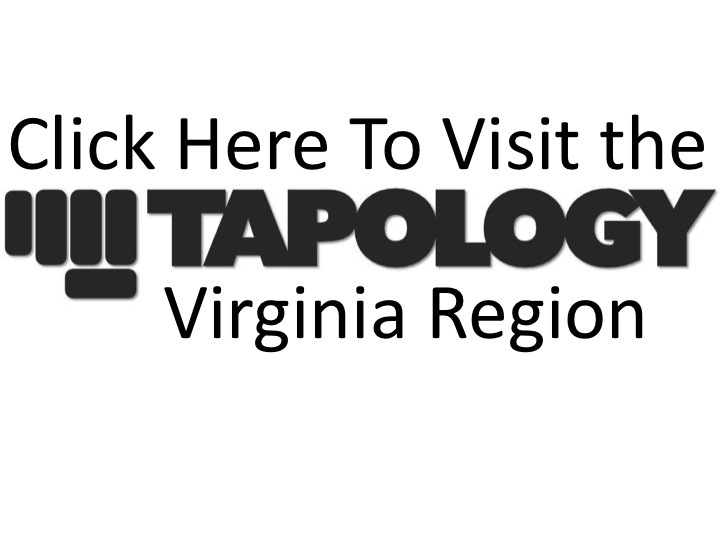 The complete fight card and results can be found at Tapology.com.